First degree in Information Systems Engineering at the Technion. Participated in the Technion Excellence Program: 1995-1999. Yaniv included interdisciplinary studies in his curriculum and joined a team of doctoral students working with Prof. Dov Dori from the Faculty of Industrial Engineering and Management. His research dealt with: “The development of novel methodology for analyzing data systems”. Take the advantage of multi-disciplinary courses to get wider perspective that required in the industry. Today (2018): VP R&D at Wix. 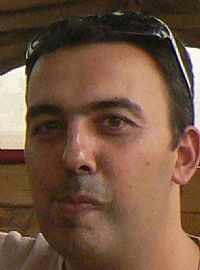 “Yaniv is an experienced leader of technological operations, who has been directing Wix’ R&D team since September 2011.